Don’t wait! Applications are available in the spring semester and accepted into the fall semester for entry into the professional curriculum in the following spring. The Medical Laboratory Scientist (MLS) professional, also known as a Clinical Laboratory Scientist, is an integral member of the patient care team. They provide diagnostic information required to identify and treat the cause of illness in patients. Formerly known as a Medical Technologist, the MLS has an aptitude for science, especially biology and chemistry, and appreciates the investigative and technical aspects of laboratory medicine. Laboratory professionals are devoted to detection and diagnosis through the analysis of blood, body fluids, and tissue. An MLS will perform hundreds of laboratory tests, for which the results are used by physicians to diagnose disease, identify the most appropriate medication and dosage, and monitor the response to treatment. In clinical chemistry, tests are often performed on blood and other body fluids to determine the patient’s levels of various enzymes, proteins, and hormones. Variation in these analytes is diagnostic of disease such as diabetes, cardiac abnormalities, and even organ failure. In hematology, blood is examined for indicators of inflammation and infection, as well as cancers such as lymphoma and leukemia. Blood is also tested for its ability or inability to clot appropriately. This is referred to as hemostasis. Diagnostic testing in immunology is often centered on infectious diseases, through the identification of the infecting agent or antibodies produced in the presence of such agent. The antibodies involved in autoimmune diseases, such as lupus and arthritis, are also identified in immunology. In microbiology, body fluids, tissues, and other biological specimens are examined and tested to identify microorganisms causing disease and determine effective treatment options. Microbiology testing examines bacterial, viral, fungal, and parasitic agents causing disease in humans. The blood bank may be one of the most critical areas for the health of a patient. Not only does the blood bank perform simple tests, such as determining a patient’s blood type, the blood bank is also responsible for transfusion medicine, ensuring blood given to a patient is compatible and will not cause harm. 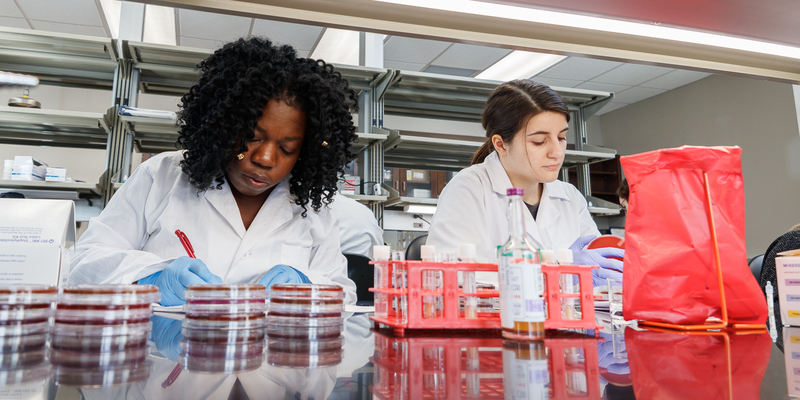 The Bachelor’s degree in Clinical Laboratory Science (CLS) prepares students for work in the clinical laboratory setting including hematology, immunology, microbiology, chemistry, phlebotomy, molecular diagnostics and blood bank. The CLS program is located in the newly renovated Riverside Hall, which houses a classroom and student laboratory. or as a licensed Medical Laboratory Technician seeking progression from an associate’s to bachelor’s degree. Route for entering freshmen, transfer students, and those seeking a second degree. 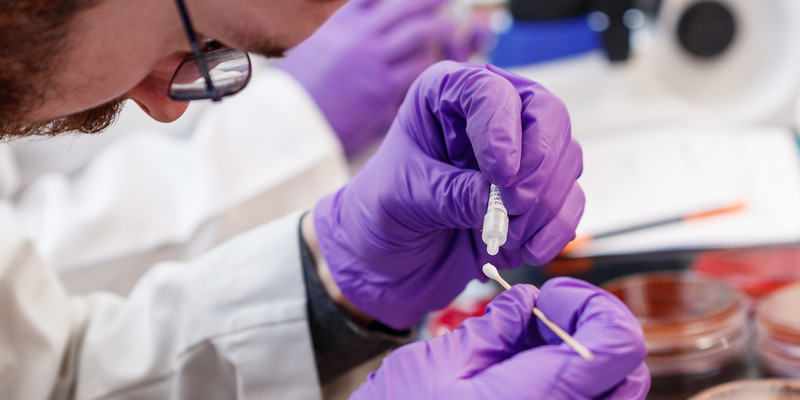 The United States is experiencing a shortage of Medical Laboratory Scientists, who comprise the third largest group of healthcare professionals in the country. Certified Medical Laboratory Scientists may readily find employment throughout the United States in hospitals, medical and diagnostic laboratories, research laboratories, government laboratories, and within the healthcare industry. According to the U.S. Department of Labor, Bureau of Labor Statistics, employment of clinical laboratory professionals is expected to grow faster than average for all occupations through 2022. The average annual earnings in 2016 were $62,440. (www.bls.gov/oes/current/oes292011.htm). Students who complete the Clinical Laboratory Science program will be eligible to take the national certification board exam through the American Society for Clinical Pathology Board of Certification (ASCP BOC) as an entry level Medical Laboratory Scientist. The faculty and staff of the Clinical Laboratory Science program have a diverse background in biological and chemical sciences, laboratory medicine, laboratory management, and research. The faculty strive to give students the best education to become well-recognized clinical laboratory professionals. 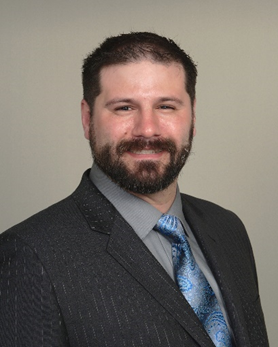 Ian C. Clift, PhD, MLS (ASCP)CM is the Program Director for both the programs in Health Sciences and Clinical Laboratory Sciences at IUSB. He is also the owner and primary consultant for the scientific writing and literary research company Biomedical Associates (www.biomedicalassociates.net). He has extensive experience in biomedical and laboratory science; with focused training in immunology, neurobiology, oncology, and cellular signaling. He received his PhD through the Mayo Clinic’s Mayo Graduate School in Biomedical Science. In addition to his technical experience in clinical and research laboratories, he is a resourceful freelance writer, educator, and driven administrative professional. He is a member of several clinical laboratory science organizations including the ASCLS (American Society for Clinical Laboratory Science), where he holds a post on the Product Development Committee, and the ASCP (American Society for Clinical Pathology), where he is also a certified Medical Laboratory Scientist (MLS) and a local ASCP Council of Laboratory Professionals representative. He teaches courses on Immunology, Serology, and Blood Banking for IUSB in the College of Health Sciences and has previously developed community service learning opportunities and taught research methods for students in the Health Sciences programs. Barbara Spinda, MS, MLS(ASCP)CM completed her Master of Science in Clinical Laboratory Sciences and Bachelor of Science in Medical Technology at the University of Alabama at Birningham. She also holds a Master of Science in Biology from the Calumet campus of Purdue University. She is currently a licensed Medical Laboratory Scientist through the American Society of Clinical Pathology and has 10 years of experience in clinical microbiology laboratories as a working technologist and laboratory supervisor. Teaching interests include all things microbiology and infectious diseases, workplace management, and process improvement. The IU South Bend Clinical Laboratory Science Program at Indiana University South Bend is in affiliation with the National Accrediting Agency for Clinical Laboratory Sciences, 5600 N. River Rd, Suite 720, Rosemont, IL 60018, 847-939-3597, info@naacls.org. We are currently in the progress of document submission to become fully accredited. Students are able to take the ASCP-BOC registry exam during this process. Programs such as this are highly competitive and will reach full capacity within the first few years. Now is your chance to get in on an exciting opportunity to build skills in a high demand field. For more information, please complete the following form and a member of the Clinical Laboratory Sciences team will be in contact with you.